Are veterans being well served in Vermont? A new survey conducted by the personal finance website WalletHub found that Vermont ranks 49th when it comes to best places to live for U.S. veterans. For most veterans, where one chooses to retire may be an important factor in one’s overall quality of life. In particular, geography may determine the effectiveness of medical care. While Vermont’s overall WalletHub ranking, which is second from last, appears discouraging, there are glimmers of hope for North Country veterans: Vermont’s health care services for veterans was ranked 31 out of 50. Among the deciding “quality of life” factors for all veterans are health care services as provided by the Veterans Administration. 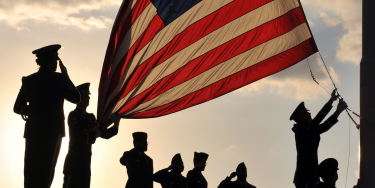 Recent data indicates that there are 19.6 million veterans now living in the United States. According to WalletHub spokesperson Diana Polk, the publication compared 100 U.S. cities across 18 indicators of livability, affordability and “veteran-friendliness” to help vets find the best locations in which to live. Indicators range from veteran income growth and nearby VA medical centers to the availability of jobs that require skills used in military service. “These veterans often face a host of challenges when re-entering civilian life. Despite Uncle Sam’s promises to provide health care as well as housing, employment and educational assistance upon their return from service, some cannot secure health care, jobs or shelter,” she said. While Vermont’s overall WalletHub ranking, which is second from last, appears discouraging, there are glimmers of hope for North Country veterans: Vermont’s health care services for veterans was ranked 31 out of 50 — just under the midway mark among states. The 74-bed, acute-care capable White River Junction VA Medical Center (WRJ), located along the Connecticut River in White River Junction, Vt., serves multi-aged veterans living in both Vermont and New Hampshire. The 74-bed, acute-care capable White River Junction VA Medical Center (WRJ), located along the Connecticut River across from New Hampshire, serves multi-aged veterans living on either side of the river, in both Vermont and New Hampshire. The hospital is recognized for its affiliations with the Dartmouth Geisel School of Medicine and the University of Vermont College of Medicine. The center is noted by the medical profession for its Nursing Academic Partnership program. According to VA nurse Eileen Murphy, WRJ’s Graduate Education program is a partnership between the University of Vermont College of Nursing and Health Sciences. The primary care nurse practitioner residency is an innovative 12-month program at the VA center in White River Junction. This innovative, collaborative program helps prepare new nurse practitioners as “clinician-leader-improvers,” Murphy said. In addition to recruiting well-trained staff to White River, the program also helps retain those motivated individuals wanting to provide quality health care for veterans of the region. Another indicator of how well veterans are served in Vermont, at least when it comes to health care, comes from the annual Strategic Analytics for Improvement and Learning report, or VA SAIL. True North Reports talked with Vietnam War veteran and former Vermonter J. Kirk Edwards about his personal health care as experienced at two different VA centers, separated by nearly 1,000 miles. A former U.S. Army reconnaissance pilot, Edwards recently relocated from Vermont to North Carolina due to cost of living expenses. He remains interested in veterans health care issues in Vermont and has followed various VA ranking studies over the years, including the SAIL report as well as those by data collectors such as WalletHub. Edwards has been hospitalized in both Vermont and North Carolina for treatment related to exposure to the controversial Agent Orange, a jungle-defoliant and herbicide used during the war in the 1960s and ’70s. The chemical has been linked to a variety of serious health complications among Vietnam-era veterans. Edwards nevertheless said his care there during his weeklong stay was excellent, and that his ongoing contact with the hospital between 2003 and 2009 was characterized by dependable scheduling and positive interactions with hospital staff. “During that period the VA was caring, easy to work with. I found all those with whom I had contact wonderful,” he said. Edwards said he now receives care from the Asheville VA hospital, which while ranked No. 1 for patient care and comfort, is comparable to the service from White River Junction. As to be expected, other veterans have used social media to express praise or criticism of WJR’s service. Polk says that 71 percent of VA hospitals have improved their conditions over the past year. In addition, the U.S. Court of Appeals for the Federal Circuit recently ruled that chronic pain without a clear medical diagnosis still qualifies veterans for disability benefits. This means more than 11,000 veterans will get much-needed help even though they once had been denied coverage. November 28, 2018 in TNR News. First off, the medical personal are quite good and caring. But the VA bureaucratic is a farce and the trouble. There’s two sides to the VA medical establishment. 1) I had a terrible table saw incident requiring immediate emergency treatment at a local hospital-operation. Once treated the medical staff (a PA-can give name and is documented) told me to return to the civilian hospital for continued treatment, almost lost my thumb. 2) I’ve had 2 operations at WRJ-VT-VA, all very professional and have had many exams with pretty fair MD sessions except for the one in #1. 3) I’ve had a hearing problem many years being exposed to jet engines in the AF for 3 years. I filed my own claim, constantly denied.since 1980. All hearing tests failed and have receive 4 sets of hearing aids, yet the judging bureaucrats said “nothing new” A hearing loss has three aspects. Yet they deny, I don’t believe there’s a audio specialist on the judging board. I just engage the American Legion guy at WRJ-VT VA to assist. No word yet. 5) The bureaucrats automatically deny. 6) The VA bureaucrats falsify your income making sure you have to co-pay., I’m below the poverty level (VA standards). If filing IRS 1040, they only consider any investment sales, not any losses for a net income. I lost money, but it’s an income. Why aren’t VA personal allowed only to be treated the same via the IRS? A guy at Fee Basis said we can do it “because we’re the Government”. A Fee Basis colored woman at Pensacola FL when showing my income losses (in parentheses-a loss) said “WHOA, look at that income”. She didn’t have a clue between an income or loss. 7) Have documentation (some 160 articles) of VA corruption and waste of money. Yet they nickle-dime the Vet. Building leased, but not occupied by the VA.
8) Vets on waiting lists for over a year and die before treatment. To name a few lousy VA hospitals: Phoenix, Tacoma, Denver, Pensacola FL and Manchester NH. Some hospitals ship lousy doctors around to get rid of them. Can’t fire them being in a government position. (I have documents) My relative went to the Denver VA with cancer. He was told they couldn’t do anything for him. He traveled fro Montana to Denver. He died many years later of a heart attack. Got better cancer treatment at a private hospital in Billings. 9) I use to be charged $15 for an office visit, now $50 as of 2017. The last income valuation (from the IRS) was 2015 as I learned. Also use to get my prescriptions free (no co-pay) now charged. 10) I pay for Medicare Part A & B at $1250 per year (told to do so by the VA). They take my Medical data yet charge me for services. Medicare should cover charges, but the VA doesn’t invoice. The $1250 isn’t deductible from my income for their records. That deduction alone makes my yearly income at about $8K. This doesn’t take into account all the misc taxes I (vets) pay. I don’t live in a house (an RV), and have a 15 year old vehicle, can’t afford. This is only a brief summary. I have respect for the hard working staff at WRJ-VA-VT, not the desk warmers that control the Vets lives. Interesting the bureaucrats can attend seminars in exotic places. Have a pic of a guy in a bath tub overlooking Las Vegas smoking a stogie and drinking a glass of wine. No wonder the VA slogan is “Thank you for your service”. If it wasn’t for the Vet, they wouldn’t have a job. The system needs changing and it appears it is slowly when Vet positive people get elected. Have a lot more documentation and the bureaucrat treatment I’ve received. Just ask.